If you need your cardinal gram meters synchronized, and the ammulite won't interfere with your panametric mounting, the entabulator is the way to go. It's not cheap, but it's the best. Someone liked it well enough to give it a great looking ode. Thanks to THE Bob Hanson for this one. This reminds me, I've got systems recurrent next month. File Permissions and Copy Issues When Copying Among OS X, NTFS, etc. Alright, for those of you not into computer gibberish, stop here. In short, when you are trying to copy stuff from OS X or from NTFS to NTFS under, say, Parallels, you can run in to all sorts of nasty permissions problems. In my case, I had copied the Documents and Setting folder off of a couple of XP installs' NTFS hard drive to my Mac desktop, and was having all sorts of permissions issues along with some virus infected files thrown in for good measure, which mucks up even a copy on the Parallels side. I had to manually delete the infected files from within Parallels as AVG had some sort of permission choke as well. I have a simple way of fixing all this. Because I'm lazy, this isn't going to have screen shots and the like and because if you're a fairly novice user, it's somewhat involved. First, attach your drive to the Parallels virtual machine and share it. Give privileges on the share to everyone, and anybody, load up the file sharing party bus. Then connect to the share using Mac OS X's using the finder Command-K or 'Connect to Server...' and log with an Admin account on the virtual machine. On the OS X side, Command-I to get the info on the folder you're copying over and give read/write permissions to everyone. This is a root permissions filecopy with all subfolders included. Click some of my links! Buy something! DO IT FOOLS!!! Intentional or not, but does it look like the iPad 2 is somewhat translucent at the hand? 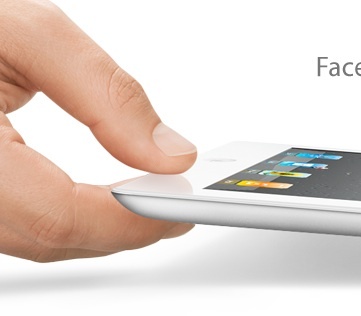 It could just be the reflection of the thumb, but it could also subliminally imply how light the iPad 2 is. "So light you can almost see through it!" The way it is, it looks like you can sorta see the index finger through it. What I initially noticed was that it looks fake, in that the photo is just too clean and surreal. But, no surprise there. Hey, it's advertising, I get that, but sometimes we here at theroblog prefer the analog vs. the digital, or a blend of both. Case in point: (pun intended) the chocolate leather Cambridge cover on my nook that makes it look like a nice library tome. Finally, a way to weed out Craigslist flakes! I do business on CL from time to time, and it's either great or fairly dismal. Here's a way to improve the process, and one Craig should implement on the site. It's a third party feedback system that lets people you've done deals with review the deal. I'm sure it will get abused, but it will weed out the clueless, scammers and plain old flakes alike. All you do is register on the site and then copy and paste your unique HTML code into your CL post. Well, first off, why? Because I got a 4 gig stick for $19.99 after rebate, which was cheaper than the 2 gig stick I'd paid $23 for a few weeks earlier. @#$^$%@! The BIOS recognizes that there is 5120MB of RAM. The OS says I have 3.25 gigs of RAM installed, which is 512MB more than it showed before. System Performance rating was 2.3, 4.5, 4.4, 5.4, and 5.5 top to bottom with the 2gig stick. The graphics performance dropped by .1 but that was the only change. Long story short, this will give you about 20% more available RAM under a 32 bit OS, and that's worthwhile to me when it doesn't cost any more money. Under a 64 bit OS, I'm betting you could see all 5120MB that the BIOS sees. This tip cost me some bucks, so if you want to drop 50 cents in the box on the right via a Paypal donation, you wouldn't hurt my feelings. We do the odd reviews and experiments around here, particularly the ones I can't find anywhere else, but that nearly always entails buying our own gear. So help support theroblog with some nickels, nickels, nickels. I love the sound of cold hard cash. Amazon is giving away free Angry Birds Rio for their grand opening (which you can only get from the Amazon App Store) and today it's Doodle Jump for the daily free app. Get it while the getting is good. If it's free, it's for me! Oh, and I hope you're not on AT&T. Switch to Tmobile quickly before they lock everything down, charge you more, charge for every little feature, and give you cruddier service much after AT&T completes the purchase of Tmobile. I hope the sale gets denied for monopoly reasons. "AT&T is working on enabling purchases from the Amazon Appstore in the near future"
With Tmobile, it was easy. SWITCH NOW! I switched about 2 months ago. Still happy with it. The aforementioned: installing Amazon's App Store and apps from it was easy with T-Mobile. With AT&T it's going to require patching the phone. So, weeks or months from now, maybe you'll be able to do it. Tmob: a few clicks and you're done. 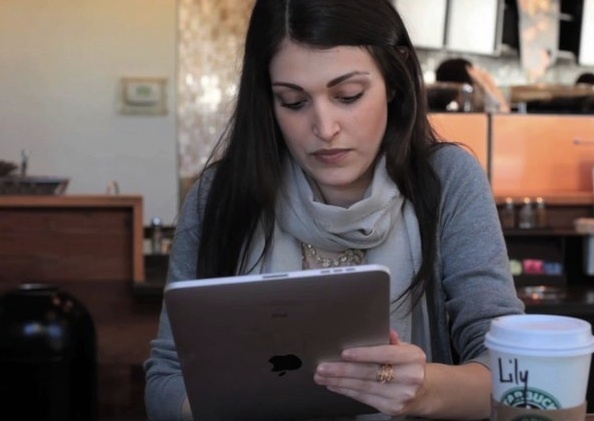 Tethering: want to use your phone as a Wifi hotspot or modem? Get ready to pay AT&T $20 or $30 (I forget) to do so. Tmob: $0. Wifi calling. Want to make calls over Wifi? Get ready to Pay AT&T for the box and another fee every month. Tmob: A few clicks and you're done. (Ok, on many phones, not every but it's still free.) And it's another $0 on Tmob. Unlimited Data. Not available on AT&T unless you got grandfathered in. 4G. Many Tmob Android phones have it. iPhone? Plan on 2012. Dropped calls: Seems like way less to me. Protip: When shooting the stock photo, hold the props the right way. This was on a high traffic site in a Starbucks article.